The field of 3D printing is having a profound effect on the manufacturing world and beyond. 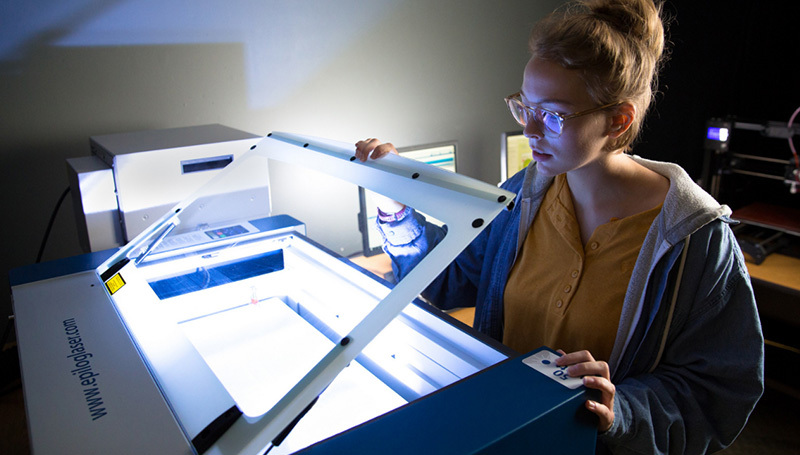 Students in the Industrial Engineering Technology and Art departments at Missouri Southern will be keeping pace with those changes thanks to the donation of three new printers by a local business. The Nautilus 3D printers will be showcased during a special presentation set for 1 p.m. Thursday, April 12, in Room 152 (Machine Lab III) of Ummel Technology Building. Among those speaking will be Nemotech co-founder Mike Parrot, who will talk about his donation of three 3D printers to the university. Parrot spent 28 years working in technology development at Eagle Picher before leaving several years ago to open his own business. The Joplin-based Nemotech operates as a printer farm and serves as the marketing and warehousing center for the Nautilus printer. “I’ve built a relationship with Dr. Alan Marble, Missouri Southern’s president, and we keep in touch,” said Parrot. “When we started making these printers, one of the conversations that came up was how they would be a great way to help out the school. The field of 3D printing is allowing manufacturers to create prototypes, custom tools and parts and drastically reduce development times. Artistic-minded students can also find new ways to approach their craft, he said. “A 3D printer allows you to create very complex geometric and artistic shapes very easily,” said Parrot. Kevin Greim, associate vice president of Development at Missouri Southern, said the community support for programs at Missouri Southern is an important part of the university’s success.